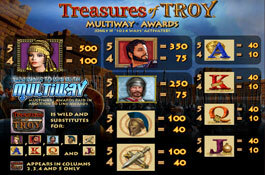 5 Reel, 40 Paylines video slot with the Multiway Xtra Feature with 1 024 different ways to win. 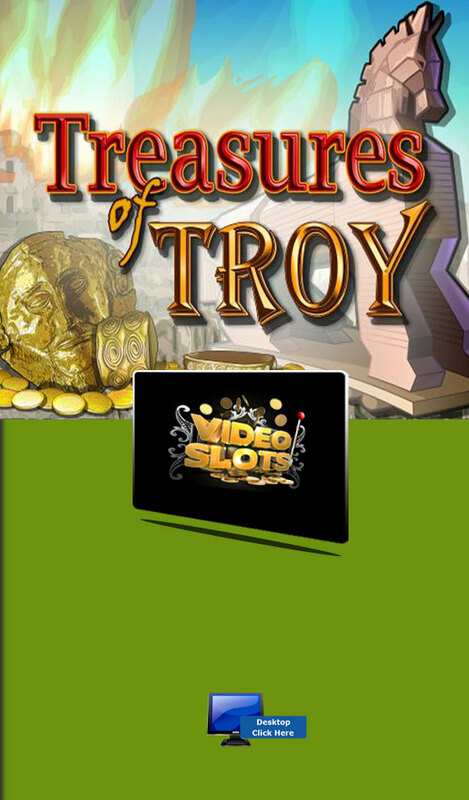 Also including Free Spins Bonus, Scatter and Wild Symbols. Based on the Greek mythology of the Trojan War. 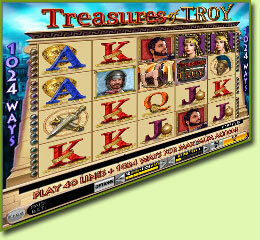 Coins range from 0.01 up to 5.00 per pay line, and bet 1 to 5 coins per payline bet. 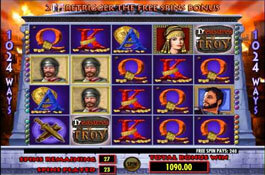 The minimum bet amount is 0.01, the maximum is 2 000.00 per spin. The Wild symbol substitutes for other symbols to create winning combinations. The Wild symbols appear on Reels 2, 3, 4, and 5. The Wild does not substitute for the Scatter symbol and doesn't activate the Free Spin Bonus game. The scatter symbol doesn't not need to show in a line on an enabled payline to win. 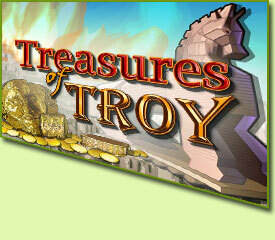 2 or more Trojan Horse scatters anywhere on Reels 2, 3, 4 trigger the Free Spins Bonus game. 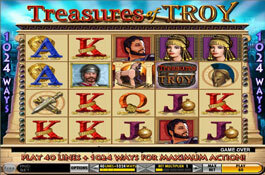 Win up to 10, 15 or 20 Free Spins when 3, 4, or 5 Trojan Horse scatter symbols appear anywhere on Reels 2, 3, and/or 4. 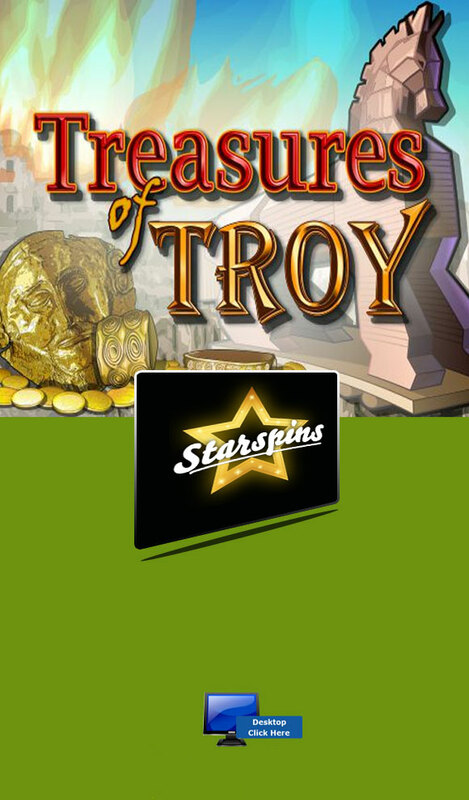 130 Free Spins can be awarded during the Free Spins Bonus round.